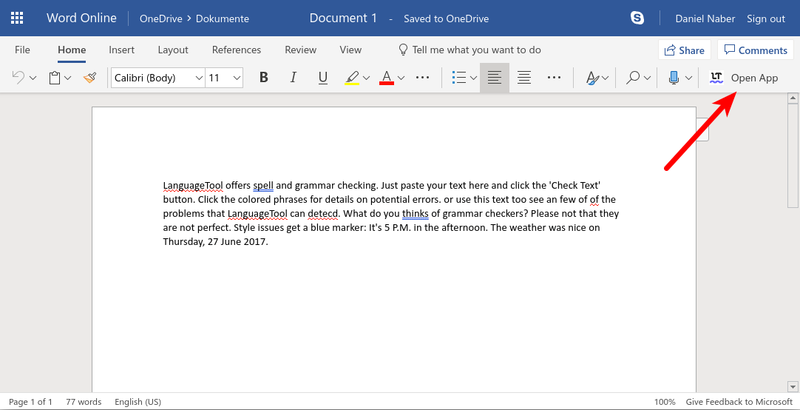 LanguageTool offers spell and grammar checking. Just paste your text here and click the 'Check Text' button. Click the colored phrases for details on potential errors. or use this text too see an few of of the problems that LanguageTool can detecd. 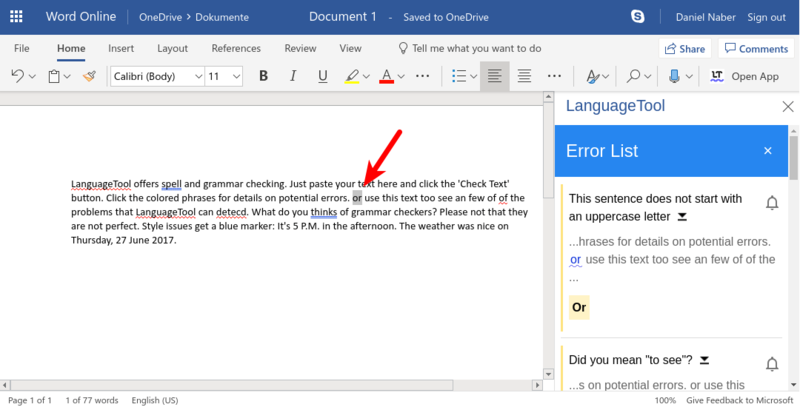 What do you thinks of grammar checkers? Please not that they are not perfect. Style issues get a blue marker: It's 5 P.M. in the afternoon. The weather was nice on Thursday, 27 June 2017. 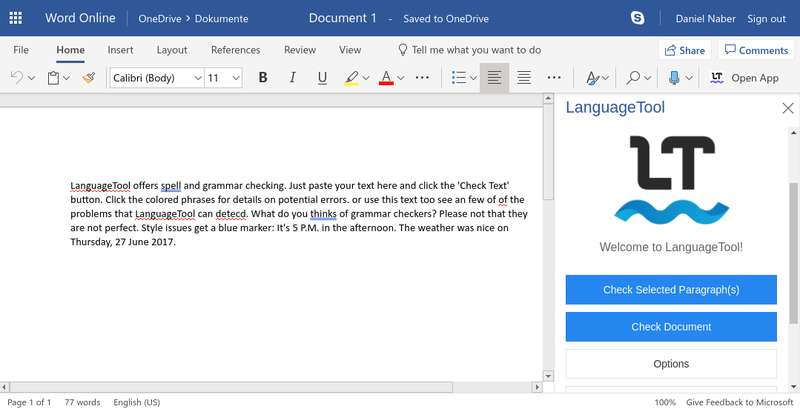 We offer an add-on for Microsoft Word 2016 or later. Works on Windows, Mac, and Word Online. 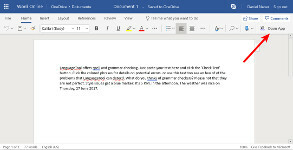 With the help of the Microsoft Word add-in you can use languagetoolplus.com directly in Word. After installing the add-in, you will see the “LT” icon on the “Home” tab. Use your languagetoolplus.com account to log in. 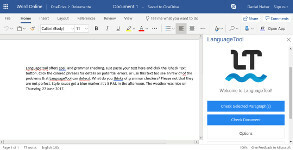 Select whether you want to check a paragraph or the whole document. In the list of possible errors, click a correction and it will be applied to your text. Use Tools → Extension Manager → Add… in LibreOffice/OpenOffice to install this file. Then restart LibreOffice/OpenOffice (including quickstarter). LanguageTool also works in your browser - check the text you enter in text fields, or check selected text on websites. 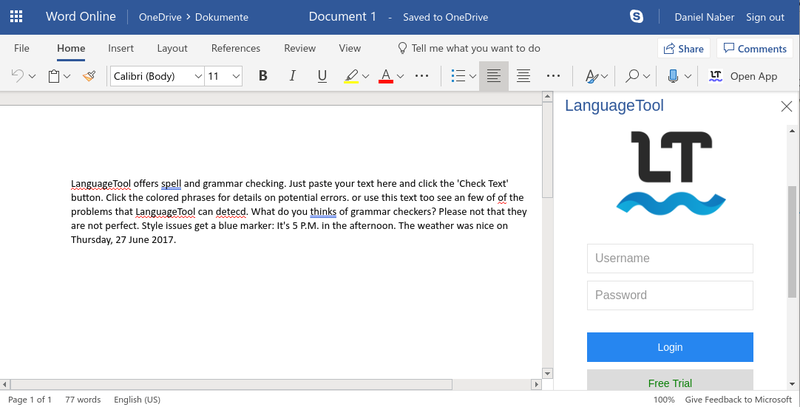 Use LanguageTool directly in Google Docs. Our community has developed add-ons and plugins for many programs. LanguageTool can be downloaded for offline use. Note: this requires Java 8 or later to be installed and unless you install additional data, this will be less powerful than the version on this website. See this comparison table. After download, unzip the file and start languagetool.jar by double clicking it.